As my faithful readers (BOTH of them) on this blog well know, I spent the first part of 2017 expanding a short story I sold to Alfred Hitchcock's Mystery Magazine into a novella. The process of expanding an existing work inspired me to ruminate on recent revival of the novella as a viable art form. All this ruminating has been great fodder for my recent blog posts. 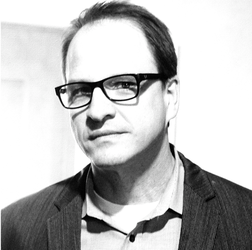 I've talked about my own fumbling toward something resembling a process when writing a novella-length piece, even interviewed Down & Out Books' executive editor Eric Campbell about the viability of the novella (That post can be found here). Last go-round I posted the first round of my interviews with two Black Orchid winning novella writers, fellow Sleuthsayers Rob Lopresti and Steve Liskow, on their own experiences with writing the novella (Read that one here). I intend to dig deeper with both Rob and Steve, but before doing so I wanted to add an old friend and recent Anthony nominee (for, what else? A novella! ), Steve Lauden, to the mix. S.W. 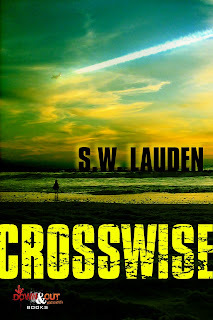 Lauden is the author of the Greg Salem punk rock P.I. series including Bad Citizen Corporation and Grizzly Season (Rare Bird Books). 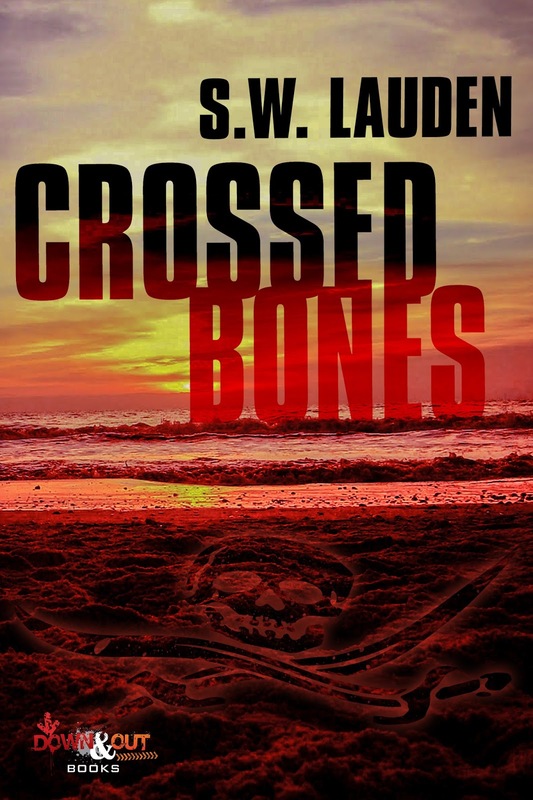 His Tommy & Shayna Crime Capers include the Anthony Award-nominated novella, Crosswise, and its sequel, Crossed Bones (Down & Out Books). He is also the co-host of the Writer Types podcast. Steve lives in Los Angeles. First off, congratulations on that Anthony nomination! Thank you! Happy to be back at SleuthSayers, Brian. I dug your last post about novellas. Which begs the question: why a novella? Like many crime and mystery readers, I appreciate a fast-paced page turner. A lot of things demand my attention daily, so when I carve out time to read I like stories that grab me by the throat and don’t let go. As a writer, I enjoy the challenge of trying to write those kinds of stories for my readers. I also think the shorter form gives writers a chance to spread their wings a little. At least it did in my case. Did you initially set to write a novella full-on, or did you decide to expand a short? My first novella, Crosswise, started out as a short story I wrote while on vacation in Florida. Something about the white sand beaches and crystal clear water screamed out for a series of murders. The bones of the novella were all there—the crossword puzzle theme, the star-crossed love affair between Tommy and Shayna, and the retirement home full of wisecracking New Yorkers—but not fully formed. Expanding to novella length allowed me to do that and more. So what was it about the short story you eventually expanded into a novella that made you think: “This needs to be longer”? Crosswise was a complete 5,000-word story when I got home from vacation, but the few people I showed it to encouraged me to keep going. I took their advice and got to about 30,000 words before deciding it was done. My editor, Elaine Ash, eventually recommended it to Eric Campbell at Down & Out Books who published it about a year later. In retrospect, which do you think is more work: starting a novella from scratch, or expanding a shorter piece into novella length? I was convinced that Crosswise was a short story, so it was pretty exciting to realize I might have something bigger. That said, expanding a piece that already had a compact and well-defined story arc was daunting. It can be tricky to maintain a consistent voice and rhythm while expanding the plot. Those challenges contributed to the quirky tone and characters in “Crosswise,” so I’m actually pretty happy about it in the end. 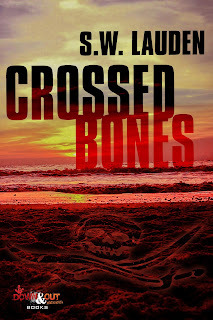 The sequel, Crossed Bones, came out in May. For that one, I sketched an outline and sat down to write a 30,000-word novella from the start. I also knew the main characters a lot better by then. So, in my my personal experience, writing a novella from scratch is probably easier. Check back in two weeks when I conduct a group interview of these three terrific authors to wrap up my series of novella-related posts. See you in two weeks! Good stuff, Steve. And sometimes (more often than not) I think trying to expand something is harder than cutting it down, though each has its own set of problems. And congratulations on the Anthony nom! A nice series of posts. Would there were more markets for novellas! Steve, congratulations on your Anthony nomination. I'm going to check out your work. Thanks (again) to Brian for offering more insight and information on novellas. I'm actually considering trying to write more of them after our discussion of two weeks ago...and really looking forward to more questions so I can learn more from other peoples' answers. Since a novella is such a flexible form, it gives you/us a lot more room to experiment than a short story does, but it keeps us from getting too carried away like a novel can. I suspect that's less an issue for me than it is for some people because I outline my novels. It's a very loose and flexible outline, but it keeps me from straying too far afield. Thanks for the interview, Steve - and Brian for more insight. I agree, Janice, we need more markets for novellas. I wrote a short story a while back that's already around 6,000, and it's been hounding me to expand it - but I've been leery because I don't do novels that well. But I just realized it would make a great novella! Congrats on the nomination and thanks for the interview here, Steve. Great to hear about your process and your success! Thanks for the interview, Brian and Steve--I enjoyed it. Since both Janice and Eve said they wished there were more markets for novellas, I'll mention Untreed Reads, which published a novella of mine (One Shot) several years ago. I'll admit I haven't checked lately, but I assume Untreed Reads remains open to mysteries of virtually any length. And AHMM has published a number of my novella-length stories. 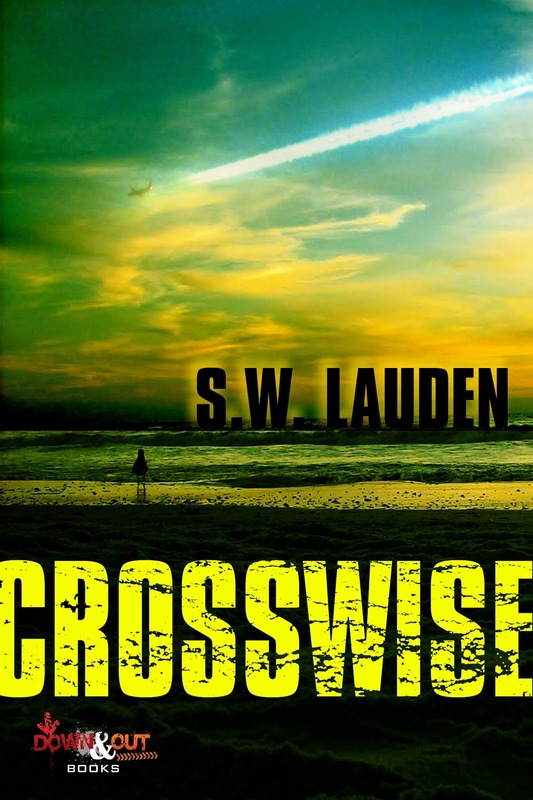 I loved CROSSWISE from the minute I laid eyes on it. D&OB did a great job with it, too. Thanks everybody! I think Brian has done an amazing job with this series. I love novellas as a writer and as a reader, so it's great to see them getting so much attention. I'm honored to be part of the conversation. I'm a believer that stories seek their own length. Some novels appear fat from the outside but are largely fluff on the inside. In some ways, novellas are an ideal form that bridge the gap.